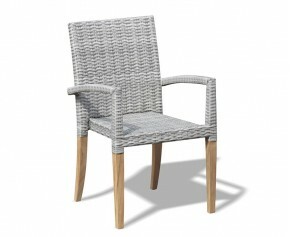 Wonderfully practical, these garden stacking chairs are a smart and stylish choice for your garden. With their simple and classic design, our garden dining stackable chairs are guaranteed to suit any styled space and compliment all existing furniture. 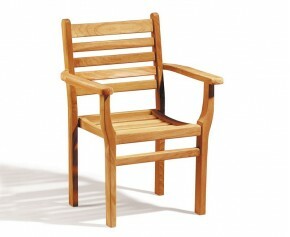 A popular choice of garden furniture, this Yale teak stacking garden chair represents brilliant value for money and has been expertly manufactured from sustainable, plantation grown A-grade teak to ensure long life and aesthetic appeal. 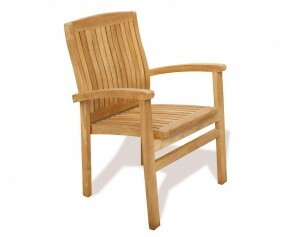 Our great value Bali teak garden stackable chairs are a popular choice teak garden chair. Made from durable plantation teak with mortise and tenon joints, these outdoor chairs are garden lawn chairs that will give you trouble free pleasure. 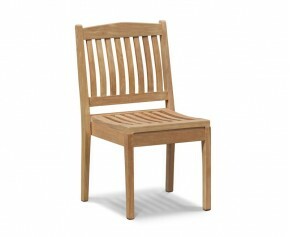 This Yale teak stacking patio chair can be stacked for convenient storage, allowing you to make the most of your space. Manufactured from the finest grade-A teak, our garden stacking chairs can remain outdoors all year round no matter the weather. Our outdoor rattan stacking chairs are expertly woven with synthetic Rehau wicker, ensuring the same look and feel of genuine rattan with the added benefits of greater durability and weather resistance. When teamed with our other furniture to make a set, our garden dining stackable chairs and outdoor rattan stacking chairs look stunning as a focal point. 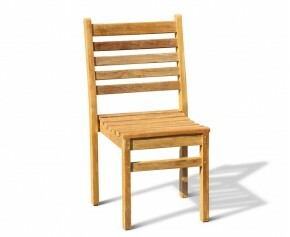 View our range of garden stacking chairs.